This method was deprecated in API level 5. Implement onStartCommand(Intent, int, int) instead. 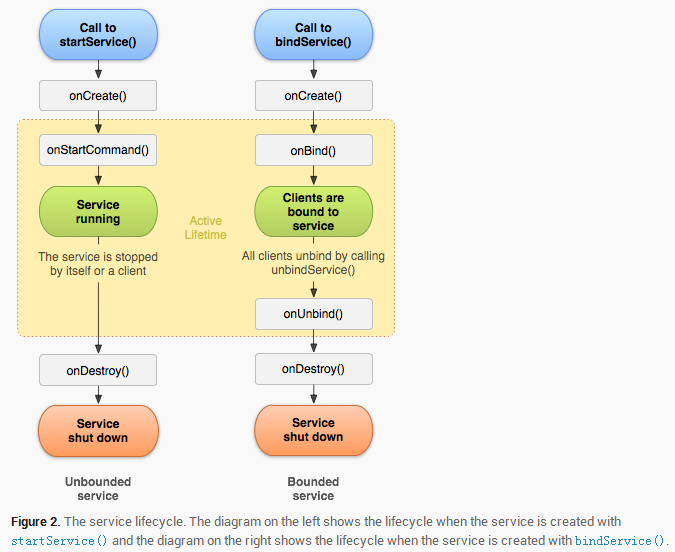 Called by the system every time a client explicitly starts the service by calling startService(Intent), providing the arguments it supplied and a unique integer token representing the start request.